It is easy to find some limited production car where I've never seen one, but I love it when I find a mass market car that was produced in epic numbers and I haven't seen one on the road. 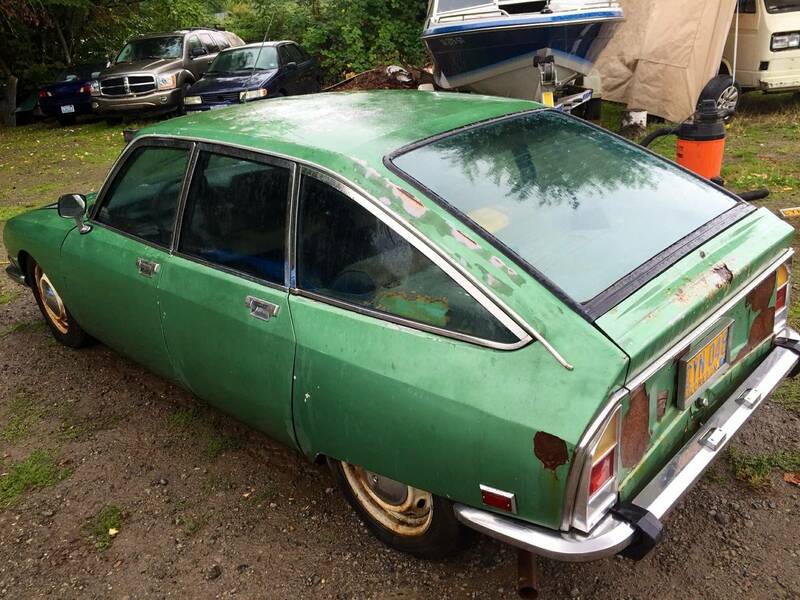 Like this 1973 Citroën GS1220 offered for $1,500 in Vancouver, British Columbia, Canada. Tip from FuelTruck. 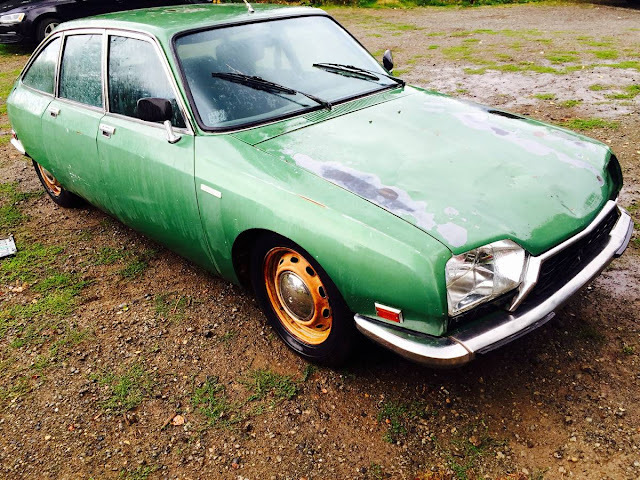 According to the seller, Citroen only sold 30 of these things into the USA back in the day, but they sold like discounted mime makeup over in the land of wine and cheese. This one appears to run on LPG, which wasn't something that came from the factory, but it undoubtedly adds to the weirdo factor...and that is Francs in the bank. Yes there is a Vancouver Wa near Portland Guys Pocket Mechanic not big enought to keep this going i am sure greased up clutch disc will give you smooth action KNOT ! I was thinking this was junk but then I saw the spare wiper blades, fan, fan clutch, belt, and accumulator balls. That and a new every-piece-of-sheetmetal-on-a-GS would give you a decent car! Interesting for sure, that instrument cluster combined with the steering wheel is wild!